The following post was first presented as a talk for the IE@DS community. It will also be presented at PyData meetup in December. All the resources for this post, including a runable notebook, can be found in the github repo. 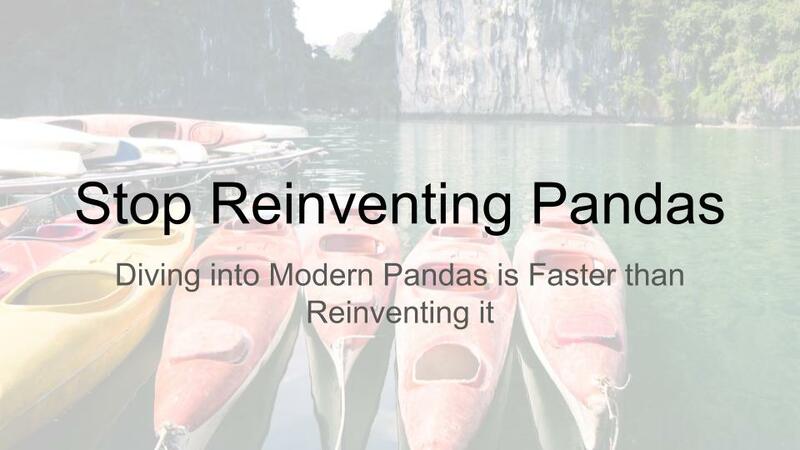 This notebook aims to show some nice ways modern Pandas makes your life easier. It is not about efficiency. I'm pretty sure using Pandas' built-in methods will be more efficient than reinventing pandas, but the main goal is to make the code easier to read, and more imoprtant - easier to write. Reading the data and a few housekeeping tasks. This is the first place we can make our code more readable. One line method chaining is hard to read and prone to human error, chaining each method in its own line makes it a lot more readable. I like those "penny dropping" moments, when you realize you knew everything that is presented, yet it is presented in a new way you never thought of. A dict is a callable with $f(key) = value$, there for you can call .map with it. In this example I want to make int key codes into letter. Task: How many events happen each hour? Pandas will automatically make string into timestamps, and it will understand what you want it to do. # Take only timestamp in the hour of 21:00. If your Dataframe is indexed on a datetime index (Which ours is), you have many options for window functions, which are again sort of "groupby" operations that in old times we used to do on our own. Intuitively, windows are like GroupBy, so you can apply anything you want after the grouping, e.g. : geometric mean. 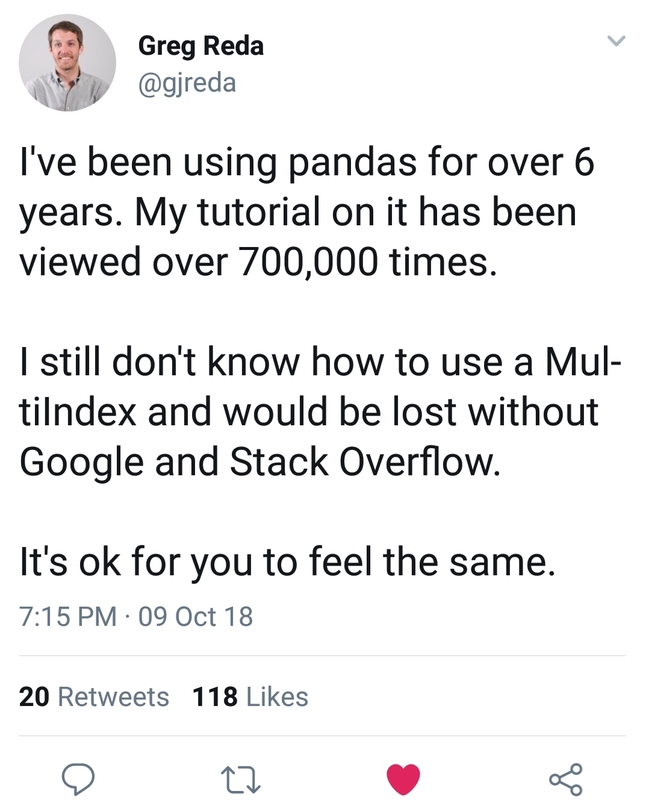 Pandas has no problem with groupby and resample together. It's as simple as groupby[col1,col2]. In our specific case, we want to cound events in an interval per event type. In this case, working with a wide format indexed on intervals, with event types as columns, will make a lot more sense. Pivot table in modern pandas is more robust than it used to be. Still, it requires you to specify everything. If the index has a name, just treat it has a column. Let's say, we know from domain knowledge the that an event takes place a minimum of 5 and maximum of 12 at each timestamp. We would like to fix that. In a real world example, we many time want to turn negative numbers to zeroes or some truly big numbers to sum known max. Iterate over columns and change values that meet condition. Now I have 3 event types from 17:00 to 23:00. Let's imagine, I know that actually I have 5 event types. I also know that the period was from 16:00 to 00:00. ### Let's put this in a function - This will help us later. Assign is for creating new columns on the dataframes. This is instead of df[new_col] = function(df[old_col]). They are both one lines, but .assign doesn't break the flow. Think R's %>% (Or rather, avoid thinking about R), .pipe is a method that accepts a function. pipe, by default, assumes the first argument of this function is a dataframe and passes the current dataframe down the pipeline. The function should return a dataframe also, if you want to continue with the pipe. Yet, it can also return any other value if you put it in the last step. This is incredibly valueable because it takes you one step further from "sql" where you do things "in reverse". # A dataframe is mutable, if you don't copy it first, this is prone to many errors. # I always copy when I enter a function, even if I'm sure it shouldn't change anything. You can always do this with multiple lines of df = do_something(df) but I think this method is more elegant. Your code is not just about making the computer do things. It's about telling a story of what you wish to happen. Sometimes other people will want to read you code. Most time, it is you 3 months in the future who will read it. Some say good code documents itself; I'm not that extreme. 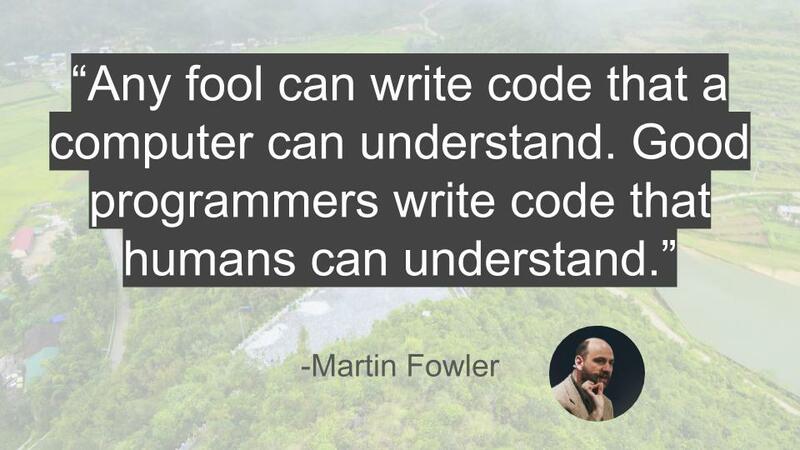 Yet, storytelling with code may save you from many lines of unnecessary comments. The next and final block tells the story in one block, or rather one pipe. It's elegant, it tells a story. If you build utility functions and pipe them while following meaningful naming, they help tell a story. if you assign columns with meaningful names, they tell a story. you drop, you apply, you read, you groupby and you resample - they all tell a story. .pipe        (get_all_types_and_timestamps) # Remember this from before? Pandas Docs. You don't have to thoroughly go over everything, just randomly open a page in the docs and you're sure to learn a new thing.